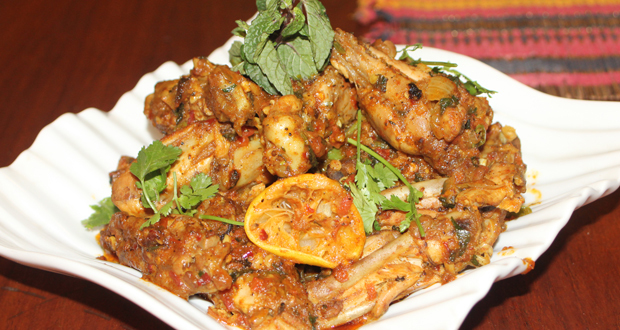 We mostly eat wings as fried or baked, but in this recipe wings are prepared on tawa. Yummy taste! You will like the hot and spicy taste of Tawa Chicken Wings. A perfect chicken recipe for the whole family. Heat the oil on tawa, add chicken wings with garlic and ginger and fry until light golden brown. Add tomatoes, yogurt, and all spices. Covered and cook until chicken wings are done and masala separates oil. Garnish with coriander, green chili, onion, mint leaves, lemon slices and ginger. Serve hot.